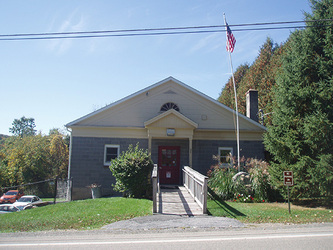 The Holmes Whaley Lake Civic Association has existed since 1952 to promote and protect the interests of the residents of Holmes and Whaley Lake in the Town of Pawling and to promote social and recreational activities for the community. The facility is a beautiful building with 5.000 square feet on two floors. The upper level of the building has been renovated. There is a thrift shop located on the first floor of the building. The property also has plenty of parking. We have given yearly scholarships and host activities such as penny socials and dinner for dollars and classes such as yoga, body sculpting and senior exercise, senior social and art social "The Creative Space," vintage clothing sketch/painting. Facility is also available for girls and boys scout meetings. The Civic is a non-for-profit organization, run by donations and membership affiliation. Our annual membership is $10.00 for an individual and $15.00 for a family. All board members are volunteers. The facility can be rented by a fee. Visit us on saturdays from 9am - 1pm, or during one of our activities and see what we have to offer.